In the Bone Marrow Transplantation/Hematologic Malignancies Clinic at Simmons Comprehensive Cancer Center, our expert physicians and skilled staff manage patients with a range of blood and marrow conditions and diseases from diagnosis through their individualized treatment plan. This clinic is the outpatient location where patients see their doctor or mid-level provider. Inpatients are seen and transplants occur at William P. Clements Jr. University Hospital. 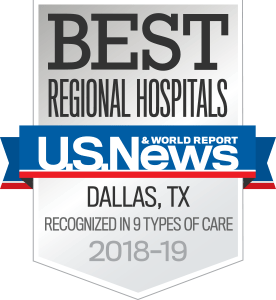 Simmons Comprehensive Cancer Center is the first and only medical center in North Texas to attain National Cancer Institute (NCI) designation. Please bring your insurance information and/or a form of payment. Please bring a list of your current prescriptions and over-the-counter (nonprescription) drugs, vitamins or supplements, as well as a list of known drug allergies. Please arrange with us for your medical records and X-rays to be sent, or bring them with you. Feel free to bring someone with you, ask questions, and take notes.